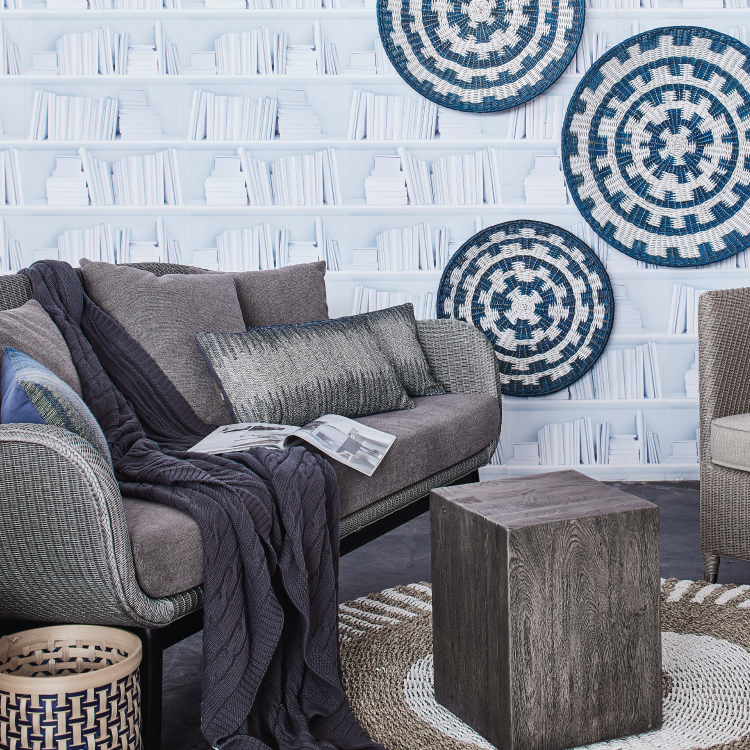 with 2019 comes an influx of fresh new design trends ready to update your space. while some come and go throughout the year, other trends are longer-lasting, reflective of the way we live now and can be brought into your home in simple ways that don't require a total transformation. 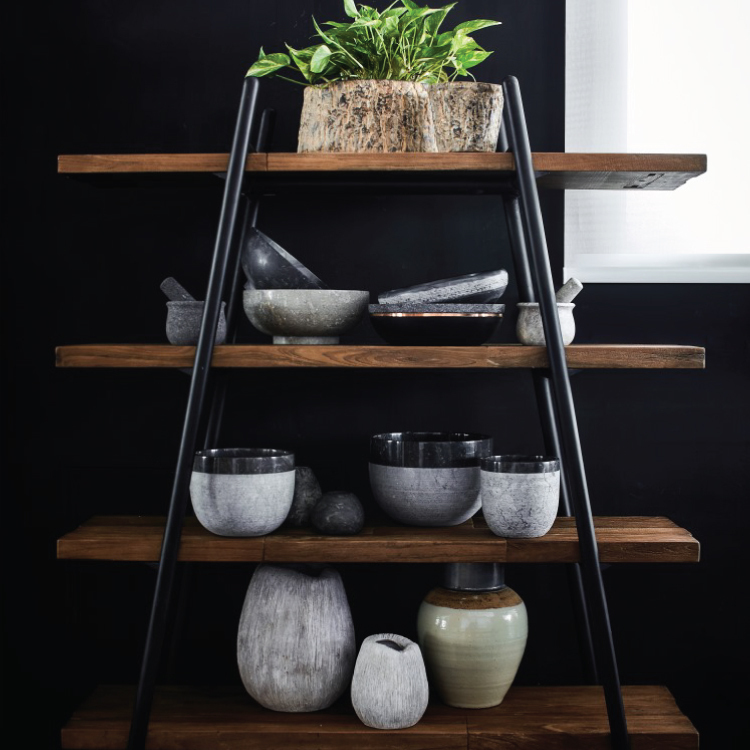 whether you choose an investment piece of furniture or a few choice finishing touches, there are many simple and easy ways to work in new décor styles that'll keep your abode looking up-to-the-minute for 2019 and many years to come. 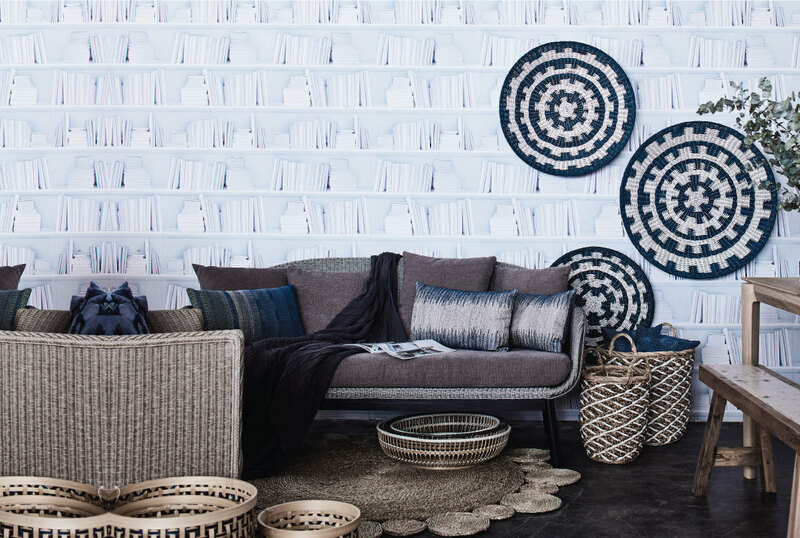 read on below to discover our top 2019 design trends, and the trend-led pieces to bring into your home this year. 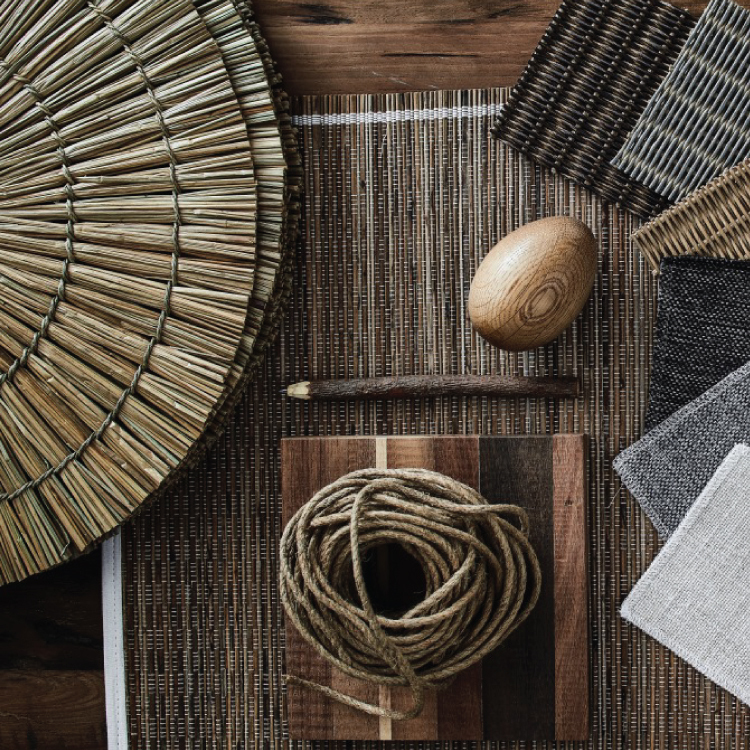 though wabi sabi, which embraces all things imperfect and impermanent, was a main source of design inspiration in 2018, the Japanese philosophy is very much woven throughout this year's trends and is certainly here to stay. with environmental issues that have quietly brewed now reaching their boiling point, sustainability is no longer a consideration, but a necessity, and a trend that is here to stay. there's a heightened awareness and demand for sustainable products that are beautiful, well-made, and protect our planet's precious natural resources. while solid wood is valued for its renewable qualities, it also carries grounding elements that designers and homeowners return to time and again. and, thanks to its remarkable durability, you can be certain that your piece will last you a lifetime! on the hunt for a new eco-chic piece? be sure to ask whether the wood it is crafted from is FSC™-certified (read more here), or sustainably sourced from well-managed forests. eco-wood furniture isn't the only way to adopt the sustainability trend. 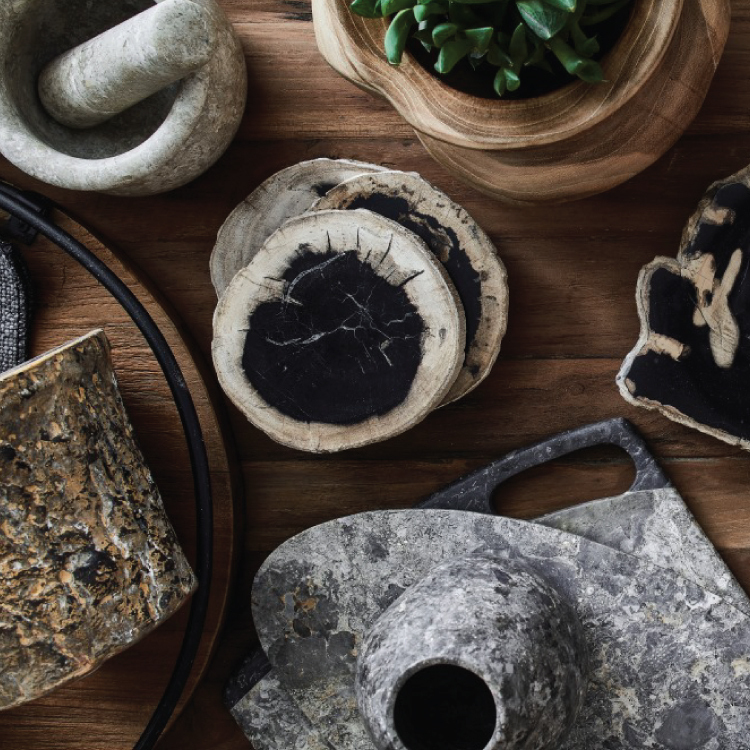 look for artisanal crafts in terracotta, natural fibres and stone - they all have an organic quality that brings the outdoors in, and encourages you to slow down and live in tune with nature. there's nothing more comforting than returning home after a hard day's work, and tucking into your sleeping nest to restore the body and mind. 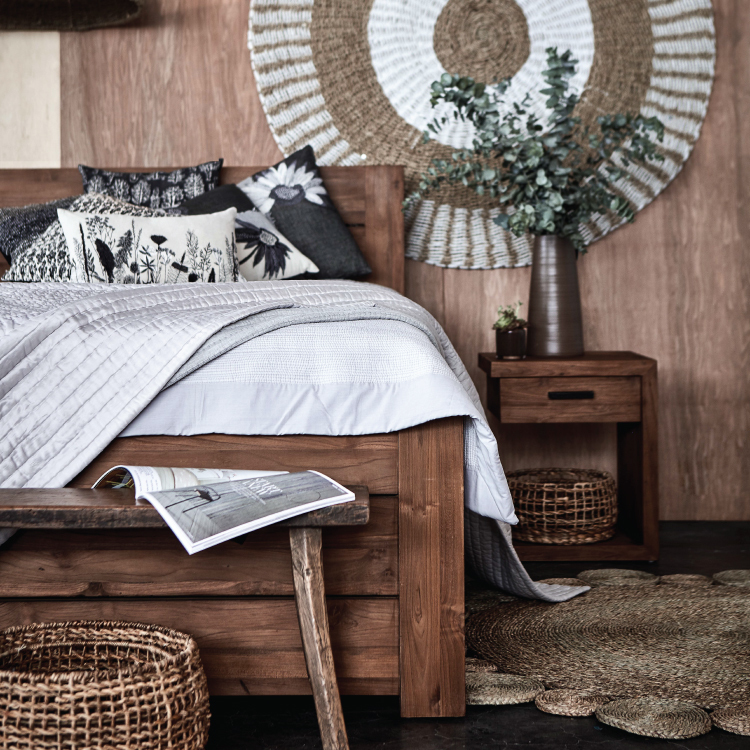 this year is all about perfecting the look of a cosy bed, which can be easily achieved with a warm, substantial bed frame and layers of texture - lots of them! a solid eco-wood bed frame, with its beautiful grains and naturally warm tones, can create a homely, inviting setting fit for a bedroom sanctuary. 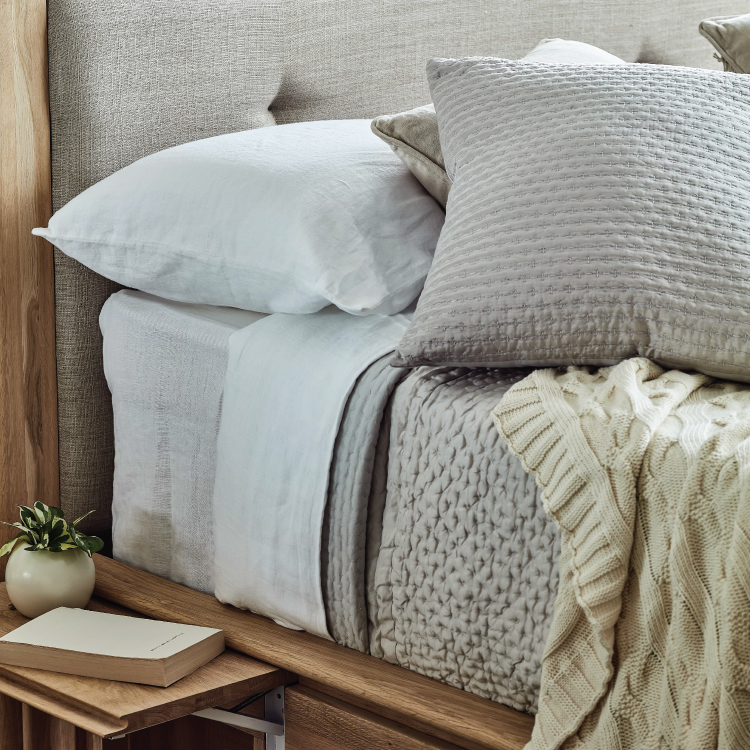 a neutral colour scheme for your bedding will enable you to experiment with fabrics and patterns, giving way to a lovingly layered look abundant with texture. top it off with handwoven cushions and a throw gently draped over, for an effortlessly done (albeit thoughtfully assembled) bed that'll cocoon you during a peaceful night's rest. this year’s décor trends are shining a light on artisanal finishing touches to give your home personal, individual flair. there's something very special in knowing that your one-of-a-kind piece has been lovingly, painstakingly crafted by the hands of skilled artisans, whose skills have been honed over generations. though it may bear imperfections and variations, these serve to add character, lending true authenticity and individuality that no mass-produced item could ever duplicate. 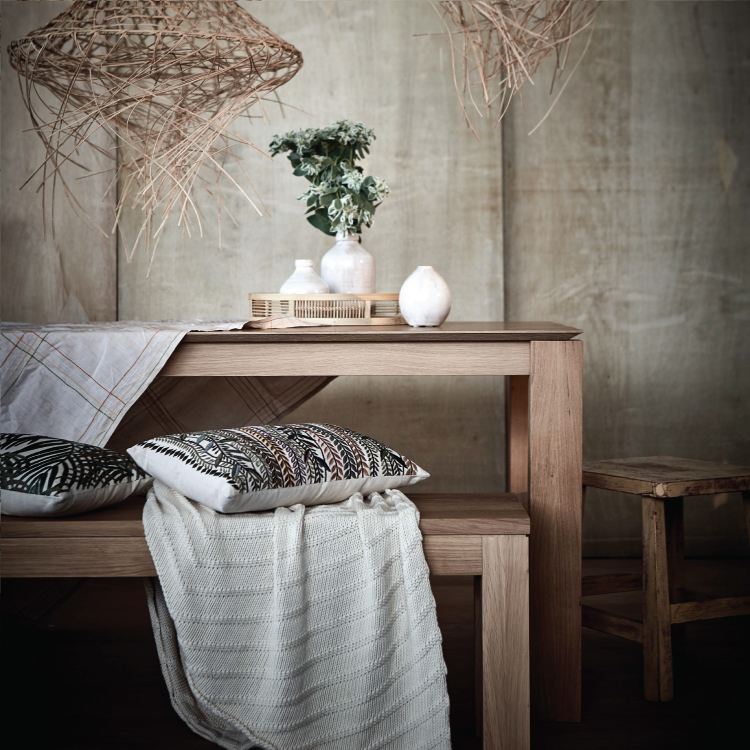 opt for handwoven décor in natural fibres like rattan, jute or abaca – grounding elements that connect your home with nature, all while giving it a beautifully tactile and layered finish. 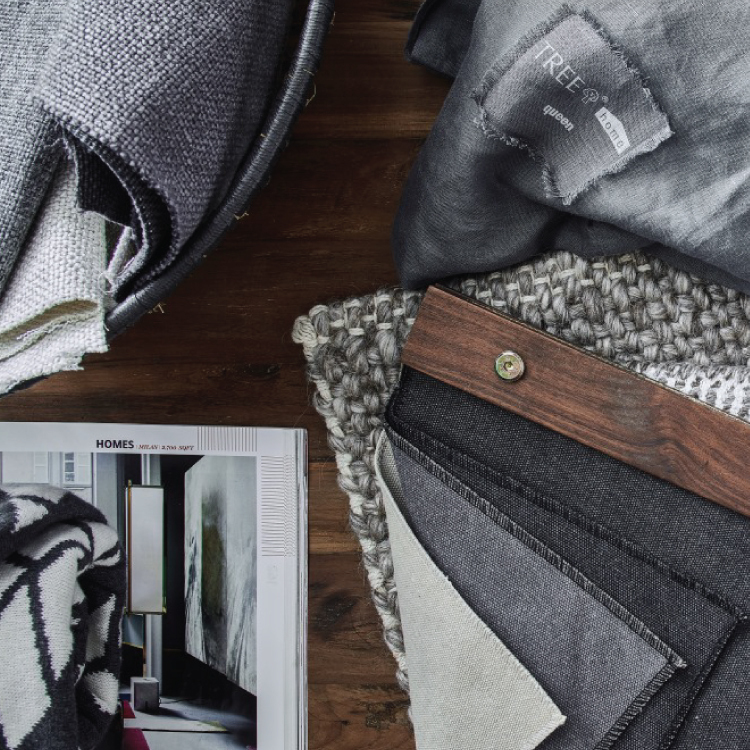 given their endless versatility and ability to evoke a sense of understated elegance, it’s no surprise that neutral tones are the heroes of this year’s crop of colour trends, including Pantone’s Colour of the Year. the recent minimalist and wabi sabi movements have cultivated an ever-growing need to be conscious of one’s surroundings, pursue subtlety and simplicity, and subscribe to the ‘less is more’ ethos. this approach to living naturally gives way to clean and clutter-free home, and a tranquil, neutral palette can help set the scene to wind down and reflect. 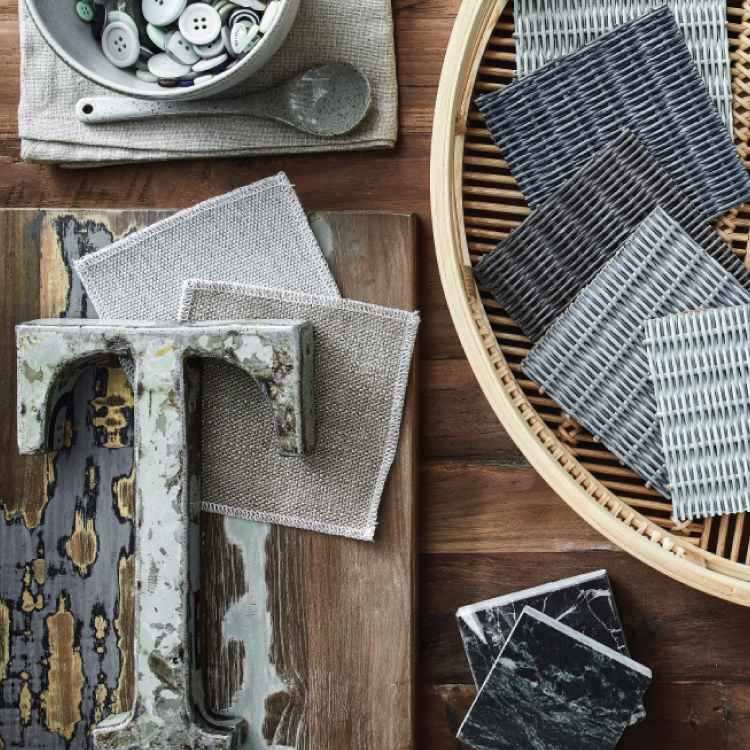 consider decorating your home in off-cream, mushroom, pewter and the like – they may be muted in tone, but they’ll certainly make an impact on the look and feel of your abode.